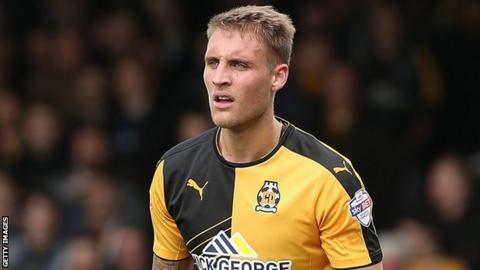 Defender George Taft has returned to Burton Albion after tearing his anterior cruciate ligament while on loan at League Two Cambridge United. The 22-year-old left-back played 13 times for the U's after joining on a six-month loan deal in July. But he was taken off injured after 22 minutes of Saturday's 3-2 victory at Yeovil, and a scan revealed a tear. "A huge thank you and best wishes to everybody at Cambridge, great bunch of lads and club," he said on Twitter.